February 6th, Friday afternoon, 1:00pm, the final game, everything on the line. 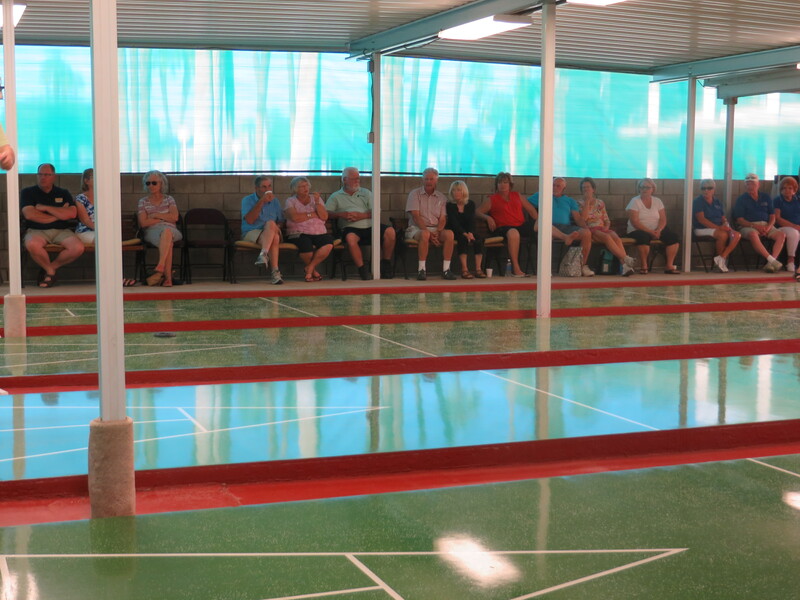 As you can see, there was no lack of spectators. 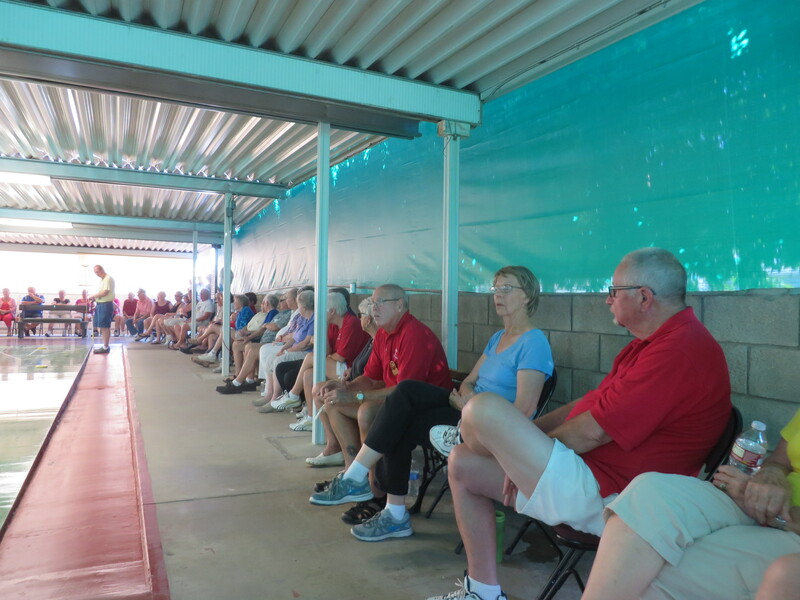 The games were hosted by The Royal Palms Club with the red-shirted members rooting on their players. 188 players started. 94 teams of hopefuls. In order to finish the games in 4 days, the TramView club was used as a satellite the first and second day. But it all boiled down to this game! District 5 President, Russel Smart, refereeing the the Consolation championship game. 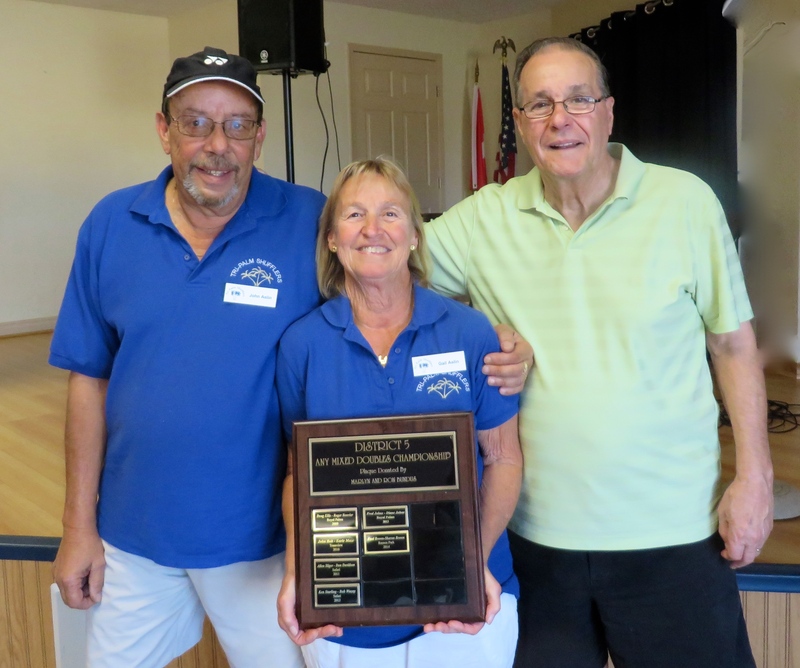 Playing for the Championship, Gail Aslin, from the Tri-Palms club, with her husband, John, won the lag. 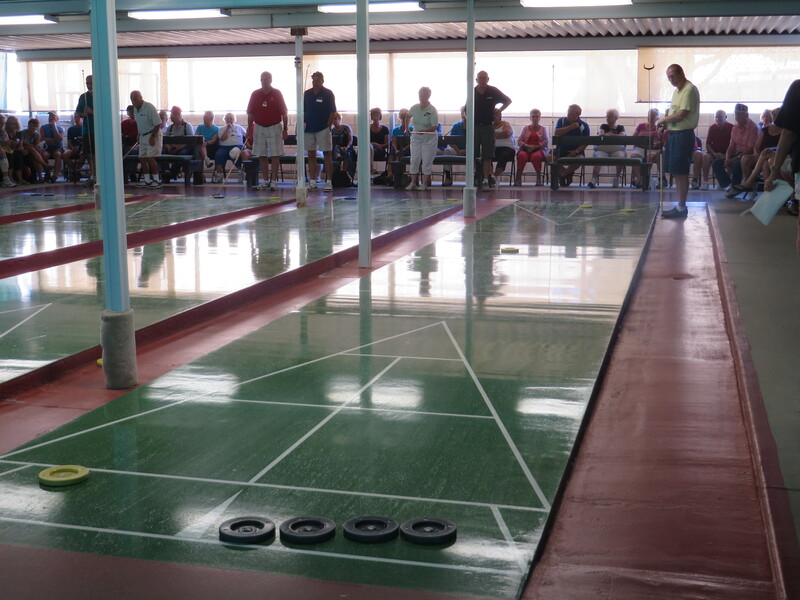 It must have been a “yellow board” as Gail and John built up a nice lead before the color change, 60-15. 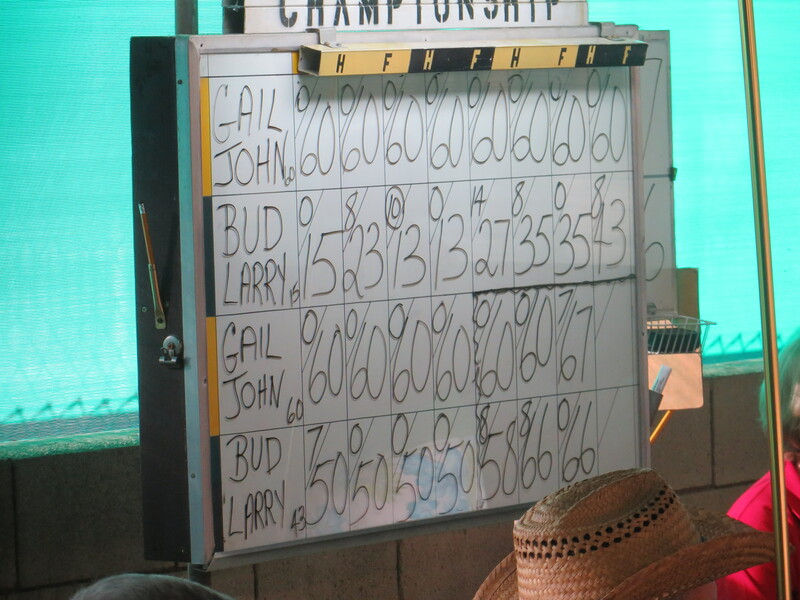 Different story in the second half, as Bud and Larry made a game of it, pulling ahead on their last hammer. Not having scored a point in the entire second half, and like the Champion she became, Gail scored on her hammer, and John cleared the board. John, Gail and President Russel. 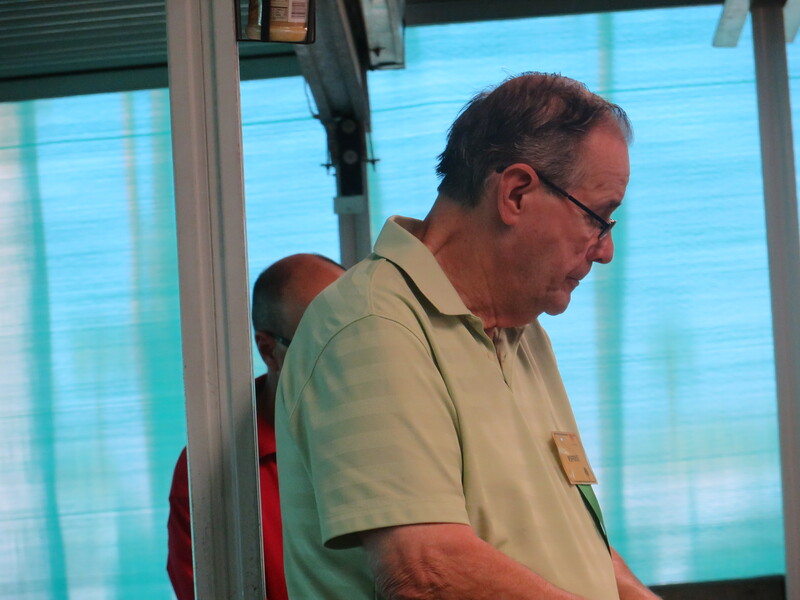 I apologize to the other winners that I wasn’t able to get the usual consolation and championship winners names and group pictures, nor a picture of the Royal Palms President and trophy presenter, Larry Conran-Smith. I will publish them if someone sends them to me.